There was a time when ladies’ golf bags were your basic black, brown, green or tan in leather or fabric. Then … along came Keri Golf and golf bags have never been the same! Geometric prints, polka dots, and flowers adorn the bags to make Keri Golf Bags speak volumes! 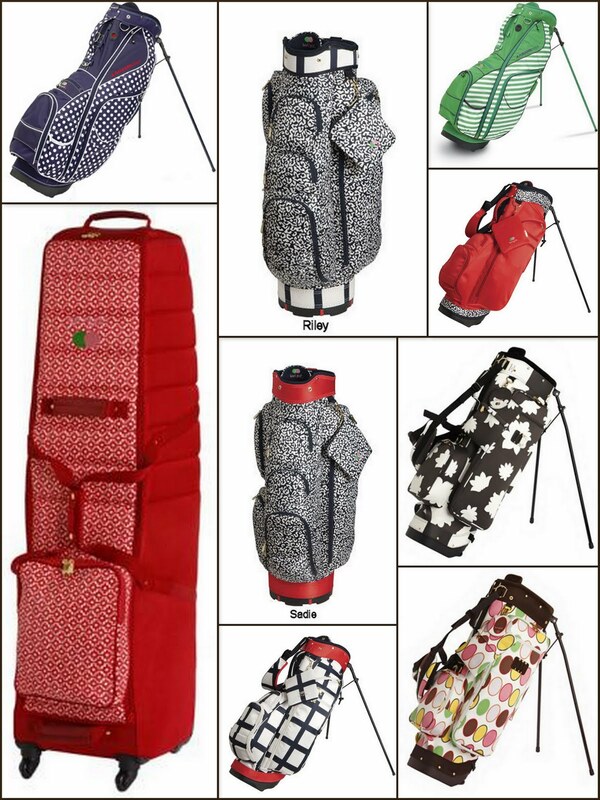 Golf bag fabrics are designed to stand up to the conditions on the golf course. Water, stain and pilling are resistant to these fabrics. Leather and leather trim is 100% genuine. These elegant bags allow for more storage space with a tiered pocket organization system while highlighting an attractive slimmer look. Each bag is 34″ tall with 8″ oval top. Full length club dividers and putter well allow for easy accountability. Lightweight construction maintains balance while providing for ample storage. External tee holder and ball sleeve pocket adds to the attractiveness of these bags. 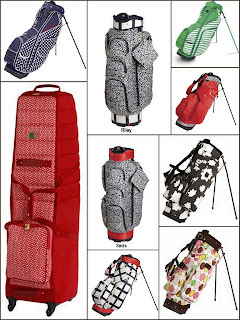 A collection of Keri Golf bags, head covers, totes and travel bags can be viewed at Lori’s Golf Shoppe. Lori’s is located just northeast of the South Carolina border in Calabash, North Carolina. This unique golf shoppe carries everything “golf” for men, women and children. A large selection of ladies’ and women’s plus size apparel will coordinate with visors, hats, gloves, shoes and socks. You’ll find a tournament and prize department that will bring your tournament outings to new levels. Club building, repairs, purchase and instruction are just some of the many amenities you’ll find lining the walls of this 5,000 square foot building. An internationally recognized on-line golf shoppe at Lorisgolfshoppe.com is another venue to help you shop when time is of the essence. Be sure to visit Lori’s Golf Shoppe or Lorisgolfshoppe.com to participate in an experience you’ll want to revisit time and again. After all, it’s the place where “All Golfing Gals Gather” for fun and friendship! This entry was posted in Uncategorized by fowlerc. Bookmark the permalink.